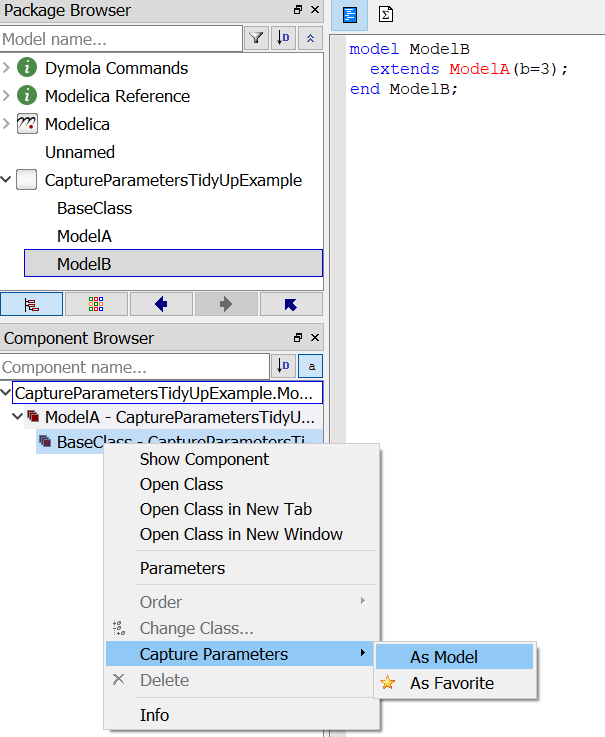 In Dymola 2019 FD01 the functionality of Capture Parameters > As Model and Capture Parameters > As Favorite command was enhanced so that they can be used for tidying models that are extended from other models rather than from base classes. This blog entry describes this tidying process in more detail. When developing models it is typical that models are created that are extended from other development models rather than from the base models. This can result in messy models such as ModelB in Figure 1. 1. Open the model (ModelB in this case). 2. In the Component Browser right click on the desired base class (BaseClass in this case). This process is performed in Figure 2. This process can be used to generate a model identical to ModelB based on BaseClass, such as in Figure 3. Figure 3. 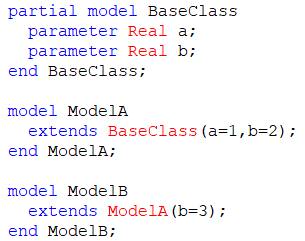 ModelC is equivalent to ModelB; however it is extended from BaseClass rather than ModelA. This is useful if you want to tidy up your model, understand what modifiers are being used, make the model only dependent on the base class’s models. For further information refer to page 20 of the Dymola Release Notes.pdf for Dymola 2019 FD01.